While we've carefully documented the dynamics in play behind Trump's decision to end the CIA's covert Syria program, as well as the corresponding fury this immediately unleashed among the usual hawkish DC policy wonks, new information on what specifically impacted the president's thinking has emerged. Earlier this year, President Donald Trump was shown a disturbing video of Syrian rebels beheading a child near the city of Aleppo. It had caused a minor stir in the press as the fighters belonged to the Nour al-Din al-Zenki Movement, a group that had been supported by the CIA as part of its rebel aid program. The footage is haunting. 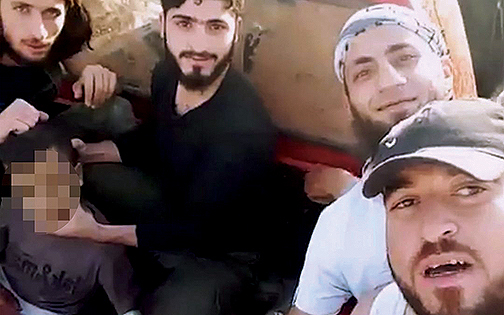 Five bearded men smirk as they surround a boy in the back of a pickup truck. One of them holds the boy’s head with a tight grip on his hair while another mockingly slaps his face. Then, one of them uses a knife to saw the child’s head off and holds it up in the air like a trophy. It is a scene reminiscent of the Islamic State’s snuff videos, except this wasn’t the work of Abu Bakr al-Baghdadi’s men. 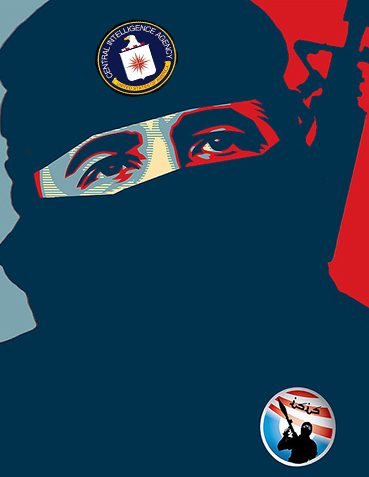 The murderers were supposed to be the good guys: our allies. Trump pressed his most senior intelligence advisers, asking the basic question of how the CIA could have a relationship with a group that beheads a child and then uploads the video to the internet. He wasn't satisfied with any of the responses. Trump wanted to know why the United States had backed Zenki if its members are extremists. The issue was discussed at length with senior intelligence officials, and no good answers were forthcoming, according to people familiar with the conversations. After learning more worrisome details about the CIA’s ghost war in Syria—including that U.S.-backed rebels had often fought alongside extremists, among them al Qaeda’s arm in the country—the president decided to end the program altogether. At the time the beheading video surfaced (July 2016), many in the American public naturally wanted answers, but the story never really picked up much momentum in the media. As Joscelyn describes, it caused nothing more than "a minor stir in the press." The State Department seemed merely satisfied that the group responsible, Harakat Nour al-Din al-Zenki, claimed to have arrested the men that committed the gruesome crime, though nothing more was known. Absurdly, a US government spokesperson expressed hope that the child-beheading group would "comply with obligations under the law of armed conflict." The only press agencies that publicly and consistently challenged the State Department at the time were RT News and the Associated Press, yet even these attempts didn't get picked up beyond the confines of the State Department's daily briefing. When the AP's Matt Lee initially questioned spokesman Mark Toner as to whether Zenki would continue to receive any level of US assistance, Toner casually replied "it would give us pause" - which left Lee taken aback. Meanwhile, it wasn't just the US government which had aided Zenki, but as fighting in Aleppo raged it became a favored group among both the mainstream media and prominent think tank pundits. One of the UK's major broadcasters (Channel 4) even went so far as to attempt to delete and hide its prior online content which sought to normalize the beheaders as "moderate" and heroic once news of the video got out. Among think tankers, Zenki's most prominent public supporter, frequently presenting the terror group as actually representative of Syria's "secular" and supposedly democracy-promoting armed opposition (even after the beheading video emerged), was Charles Lister. Lister was finally confronted not by mainstream media, but by AlterNet's Max Blumenthal at a DC event held by the (largely Gulf funded) Atlantic Council. The only question that remains is who in the CIA or Obama-era State Department should be prosecuted first?